We encourage member churches to engage the Executive Director early in the hiring process. The ED or a member of the FLT are ideally suited to conduct a Pre-Hire Assessment. This brief phone or in person interview will help assess theological and cultural fit. It will also provide the opportunity to explain in more detail the credentialing process. Pastor Credentialing Orientation (PCO) is a 3 day seminar-style introduction to MB history, theology and polity that is led by the National Board of Faith & Life and our MB Seminary. It is held annually in alternating provinces. More details about this event can be found below. The cost of participation in this event is to be carried by the local church. This seminar may be completed at anytime of the credentialing process providing that it is completed within 2 years of hire. Following this assessment the candidate may begin working on the Credentialing Questionnaire. This in-depth theological and personal questionnaire will demand thoughtful and prayerful reflection. It will likely take some time to complete. During this process three individuals should be selected by the candidate to fill in the Reference Forms and Spousal Forms (if applicable). A Criminal Record Check should also be acquired from local Police detachments (current within the past 3 years is allowed). Additionally, the Candidate is asked to read two books and write brief reflections on each. 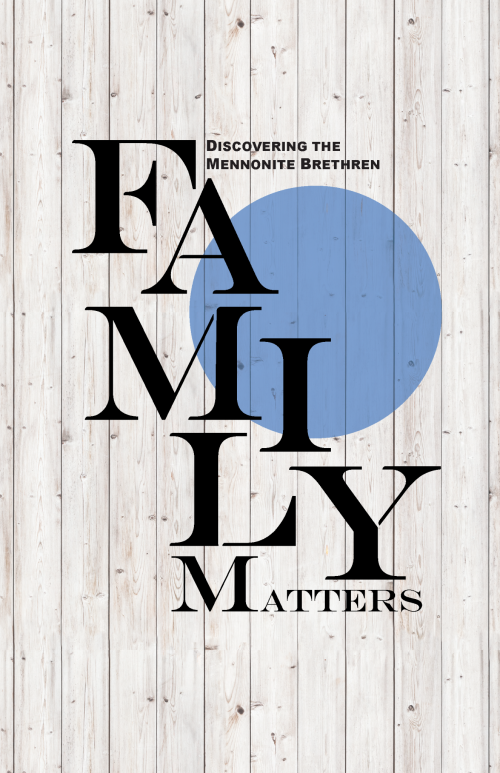 The first is the MB Confession of Faith Commentary and Pastoral Application, (ISBN: 0-921788-62-2) The second is: Family Matters: Discovering the Mennonite Brethren by Lynn Jost & Connie Faber (ISBN: 0-921788-74-6) Each can be purchased through Kindred Productions. Alternate readings may be considered upon request. 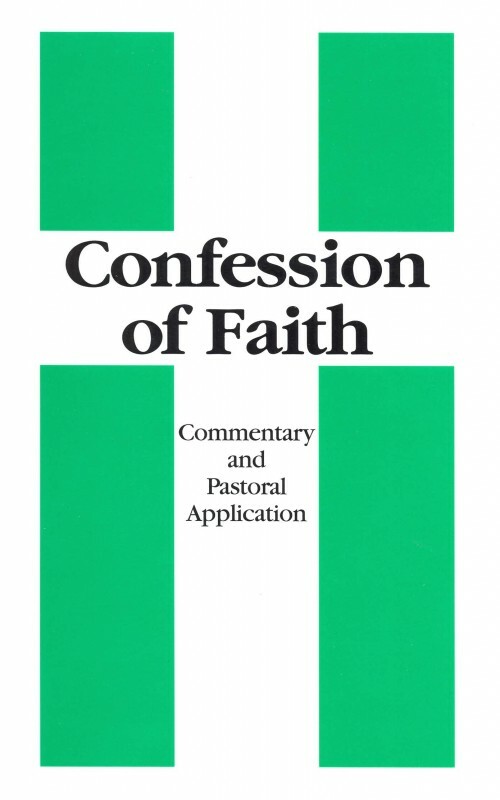 You may view the MB Confession of Faith as well as our Digest Version. Completed questionnaires and book reflections are to be submitted to the ED & FLT Chairperson at info@onmb.org. Upon receipt the candidate will be notified of the next interview date and location. These 2 hour interviews are conducted by two (or more) members of the FLT. It is strongly encouraged that the candidate bring their Church Moderator or Lead Elder as a listening participant in the interview. It is important that the candidate bring a signed copy of the Code of Christian Conduct. Shortly after the Credentialing Interview the FLT & ED will meet and assess the candidate’s suitability for Credentialing. They will either grant the candidate his or her credentials or they may request that further steps be taken to complete the process. They will further determine whether the candidate has been credentialed for ‘Provincial’ or ‘Local’ Credentialing status. 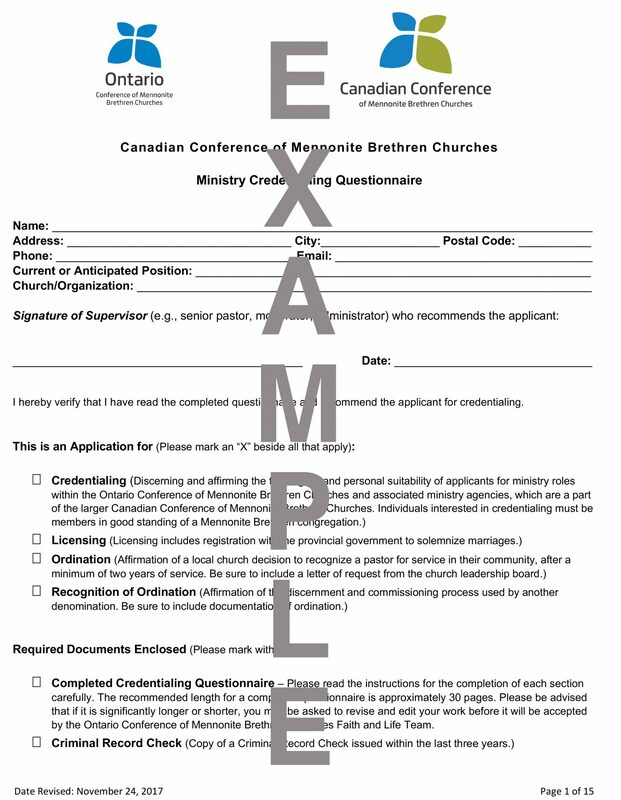 The FLT will also secure a Marriage License from the Province of Ontario for successful Credentialed candidates who request this for their ministry roles. 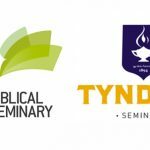 Ordination within ONMB is offered to Pastors who have completed the full credentialing process. This specific laying on of hands is the act by which the local church and the provincial Conference affirm those called by God and the church for the ministry of the Gospel. Church leadership teams are invited to contact the FLT for further details. 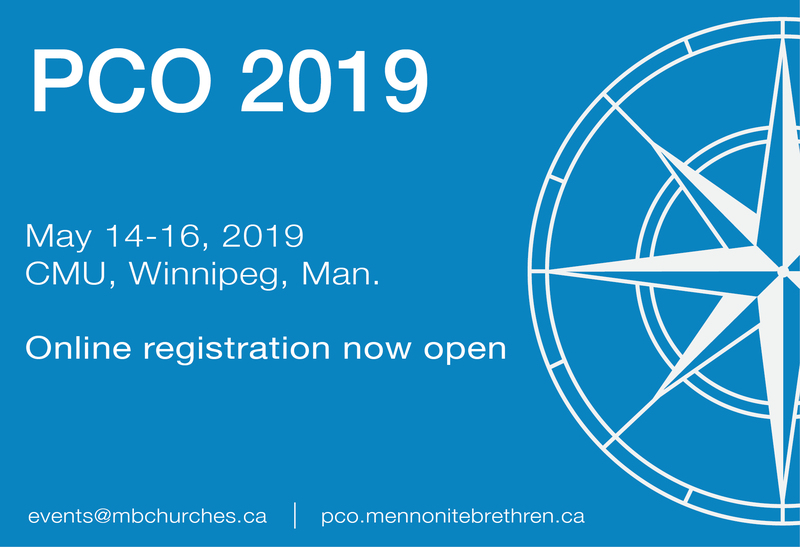 Individuals credentialed by the Ontario Conference of MB Churches will be asked to renew the Mennonite Brethren Conference Covenant, and the Code of Christian Conduct every three years. Completed forms should be sent by mail or email to the ONMB office.